Aviation Services Network prides our locker program on being able to elevate our client’s aviation experience to the next level by focusing on the eminent need for product uniformity coupled with the ability to make restocking our client’s aircraft as convenient as possible before your next flight. With an ultimate goal of customer satisfaction, Aviation Services Network’s stock locker program offers our client’s convenience, with a goal of reducing overall costs while improving quality and service. 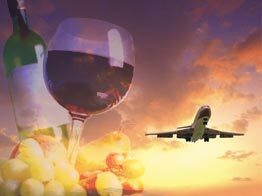 Our amenities program has accomplished such a high level of success based on the affiliation of caterers that have signed on to be a part of the Aviation Services Network team. The network of affiliates associated with Aviation Services Network’s locker program undergo a rigorous auditing process to ensure a proper level of quality and consistency are continually met. 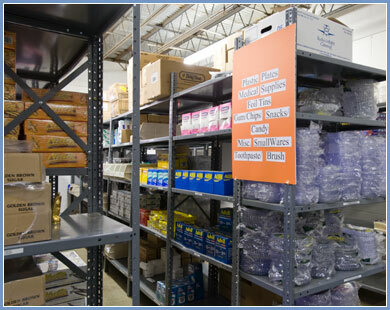 All amenities are distributed from our newly acquired 8,000 square foot warehouse located in the Teterboro Vicinity to our affiliates across the country. With numerous aircraft cabin amenity items for both onsite and offsite locker locations, ASN is prepared to assist with the selection of on board amenities and snacks as well as a replenishment system to ensure item availability. Additionally, ASN offers statistical data reports for usage and cost savings.